Must the sins of America's past poison its hope for the future? Lately the American Left, withdrawing into the ivied halls of academe to rue the nation's shame, has answered "yes" in both word and deed. In Achieving Our Country, one of America's foremost philosophers challenges this lost generation of the Left to understand the role it might play in the great tradition of democratic intellectual labor that started with writers like Walt Whitman and John Dewey. Is John McCain "for real"? That's the question David Foster Wallace set out to explore when he first climbed aboard Senator John McCain's campaign caravan in February 2000. It was a moment when McCain was increasingly perceived as a harbinger of change, the anticandidate whose goal was "to inspire young Americans to devote themselves to causes greater than their own self-interest". And many young Americans were beginning to take notice. To get at "something riveting and unspinnable and true" about John McCain, Wallace finds he must pierce the smoke screen of spin doctors and media manipulators. And he succeeds - in a characteristically potent blast of journalistic brio that not only captures the lunatic rough-and-tumble of a presidential campaign but also delivers a compelling inquiry into John McCain himself: the senator, the POW, the campaign finance reformer, the candidate, the man. I've listened multiple times and recommended to many. 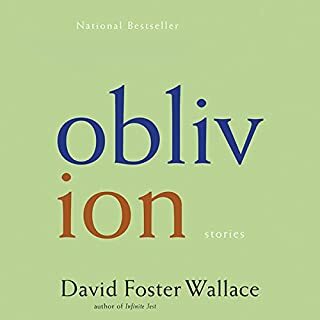 This is DFW's most compelling, least self-indulgent non-fiction. Consistently witty, funny and full of timeless insights. A masterpiece of the genre. 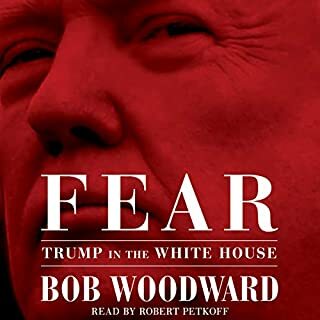 The book is part anthropology of a presidential campaign trail, part John McCain character study, and one last (most important) part philosophical observations about the crossover between politics and marketing and what that means for the voter/consumer. The most compelling part, however, is a straightforward description of the horror of John McCain's shoot-down, capture, and torture in the hands the Vietnamese and his decision not to leave the Hanoi Hilton ahead of other prisoners as demanded by protocol. 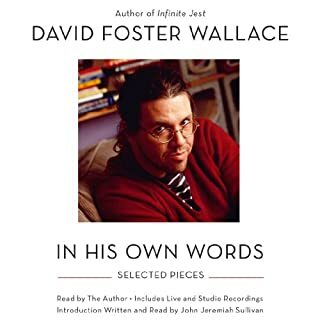 DFW's interjections and reminders as he tells the story for the listener to stop and visualize what he/she would do in such a situation is as simple as it is stunningly effective. The passage remains one of my favorite nonfiction passages of all time as it is not only emotional and stirring, but also achieves its goal of having the listener empathize with the situation and forever cognizant that whatever one thinks about John McCain's politics, it cannot be denied that he is (or at least was), a man of astonishing physical strength and moral certitude, whose commitment, in the face of isolation, torture and potential death, to principles that were inconsistent with his own self-interest, mark him as one of the rare political figures, about which we KNOW that his political pursuits were more than just the gratification of personal ambition. What about Henry Leyva’s performance did you like? A nuanced performance. 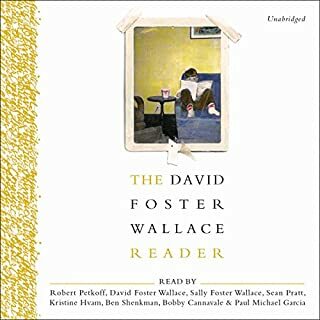 Gets the DFW tone (i.e., the bemused outsider) spot on. 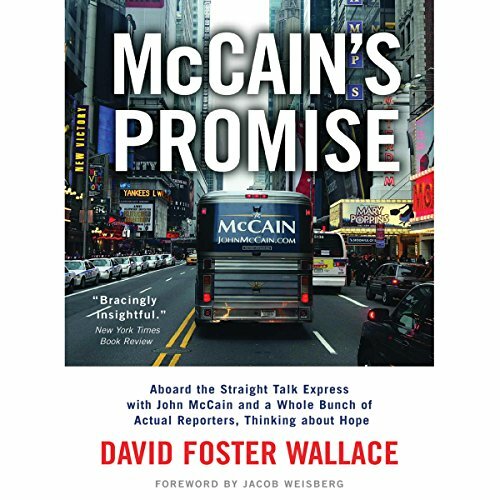 If you could give McCain's Promise a new subtitle, what would it be? This book is about the culture and characters of a certain time and place. It has a lot of insights about McCain but is not a McCain book. That said, regardless of political ideology, it will likely make you regret that the 2000 McCain didn't win the republican nomination (i.e., beat Bush) and aware that, in many ways, the 2008 version of the man was merely the withered faint shadow of the once energetic, practical, intellectually flexible candidate. Took the time to listen to this just to escape from today's political muck. I found myself wishing this article was longer and DFW had been around to report on Obama and now Trump and the races since. His thoughts on leadership vs. salesmanship are better than any political reporting I've read recently. Someone should pick up that ball in 2018. 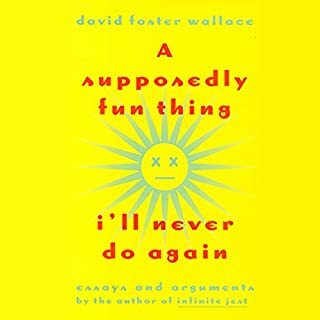 I'd recommend this to Wallace fans, political junkies and those who want to travel to a time when we thought politics were hitting rock bottom... 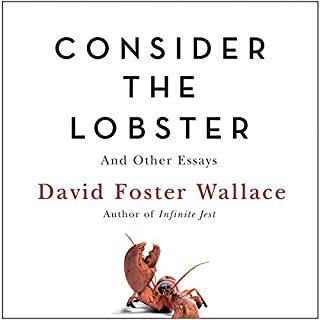 I came away with respect for the author, the subject and a wry smile at the sweet naivete of Wallace on the campaign trail. This book is not really about McCain, but rather the political process of running for president. Yes, there are a few tidbits about the candidate, but most of the attention is on the press corps. I was surprised by some of the language used -- but I guess I shouldn't have been based on the original intent of the author's work (Rolling Stones magazine).